BOSTON (Reuters) - Billionaire investor Carl Icahn, who sparred for years with short-seller William Ackman over the future of Herbalife Nutrition Ltd <HLF.N>, on Thursday said he sold roughly $552 million worth of Herbalife stock back to the company, trimming his stake to 21 percent. The 82-year-old investor remains the nutrition and supplements company's biggest owner after cutting his stake to 35.2 million shares from 45.7 million, which represented a 26.2 percent stake. In late 2012, Ackman unveiled a $1 billion short position and predicted Herbalife's share price would eventually fall to zero. Icahn, however, was convinced that the company's future was bright and began buying. 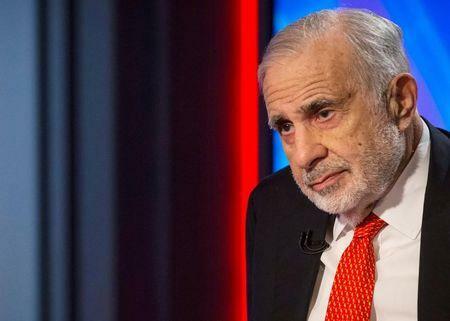 In February 2013 Icahn said in a filing that he paid an average $21.03 for his shares. He continued to buy Herbalife shares after that. Since January, Herbalife's shares have climbed 46.4 percent.